Michael Overcast aka hoM.O. aka Gary Newsome aka many more - check the links in the sidebar - seem to move his illegal activities to other gratis google blogs to pretend his competence as off-road reporter. Make sure you understand "Illegal" typically has to do with Criminal Law, with consequences like jail and such. Framing another site without permission typically has to do with Civil Law, specifically copyrights, and possibly trademarks (those two areas, plus patents, are the trio known as "Intellectual Property"). As done by him for years together with plain and simple content theft as well image theft. Below images show the front (to you visible) display of one his his many "websites" - gratis Google Blogs with a domain/URL put on tip of it. If you are a race fan and do not support the most stealing person in off-road M.O. 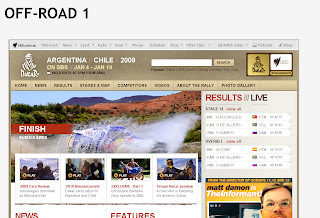 please visit the original website at www.sbs.com.au/dakar2009/ respective search Google or any other search engine for "Dakar 2010 or Dakar Racing or Dakar Rally Raid. 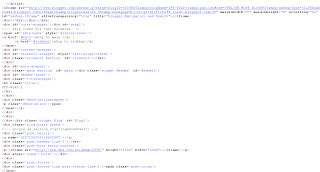 I also shows a screenshot with the iframe link. Keep in mind: this people at SBS.com.au pay to the Dakar Race organizer to be able to provide this service with first hand info to website visitors. Consequently they do invest in the off-road sport and being part of make such races possible. Keep our dirt clean - don't support the intellectual property thief Michael Overcast, dont support the bandwidth thief. Spread the word!! SBS.com.au has been informed and will take action.